So it's summer and the last thing you probably want is something hot, but trust me, you'll LOVE this homemade recipe for hot fudge. This is my Aunt Janie's famous hot fudge that is actually closer in consistency to taffy or ganache. It is soooo good. 1. Put the sugar and cocoa into a heavy 1 quart pan. Stir until all the lumps are gone from the cocoa. 2. Add the evaporated milk and Karo. 3. Stir constantly while heating on medium high until it comes to a full rolling boil. Then, boil for 4 minutes. 4. Remove pan from heat. Add butter and vanilla. Stir well. 5. 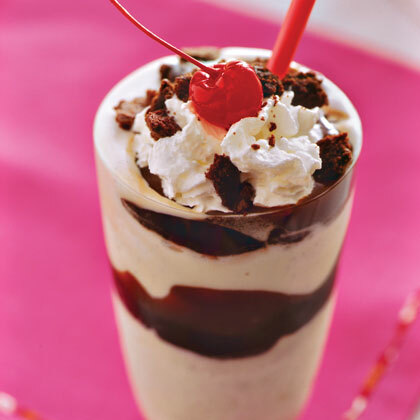 Serve on ice cream and enjoy! Speaking of sweet things, have you heard about Cupcakes and Wine, an evening of fun hosted by Maryland Pink and Green and the Pink Washingtoniette? Please let me know if you would like to attend this event next Sunday evening and I will send you an email invitation with all of the details. oh YUM! We will have to make this with the kids. Do you have one of those LL Bean Ice cream balls? If not, you must invest in one! Bethany, this sounds absolutely SCRUMPTIOUS! How kind of you to share such a treasured recipe!! xoxo Happy weekend! What a delightful summer treat! So glad I found your blog. YUM ! It sounds fantastic! Will this keep in the fridge for any length of time? Oh wow... yum yum yum! I will try this when I'm feeling a 'splurge'! Thanks for sharing this. 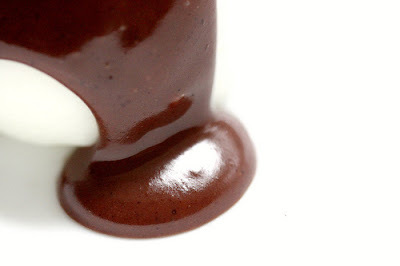 I loe hot fudge and will definitely be trying the recipe! YUM! I will be making this. oh my gosh. I didn't even know you could make this! Incredible! Thank you so much for sharing! You are such a great cook! Hope you're having a great weekend!